When we travel, most of the time we pack for the worst case scenario. Well, I’m a huge fan of Rick Steves, who has a motto to expect the best case scenario. If millions of people can live in Europe, chances are they will have what you’re looking for. For this trip, I packed a travel sized can of hairspray that had been used in prior trips, and I wasn’t sure how much was left. As luck would have it, my canister was running low. We tried to find a store in Regensburg, but unfortunately stores are closed on Sunday. 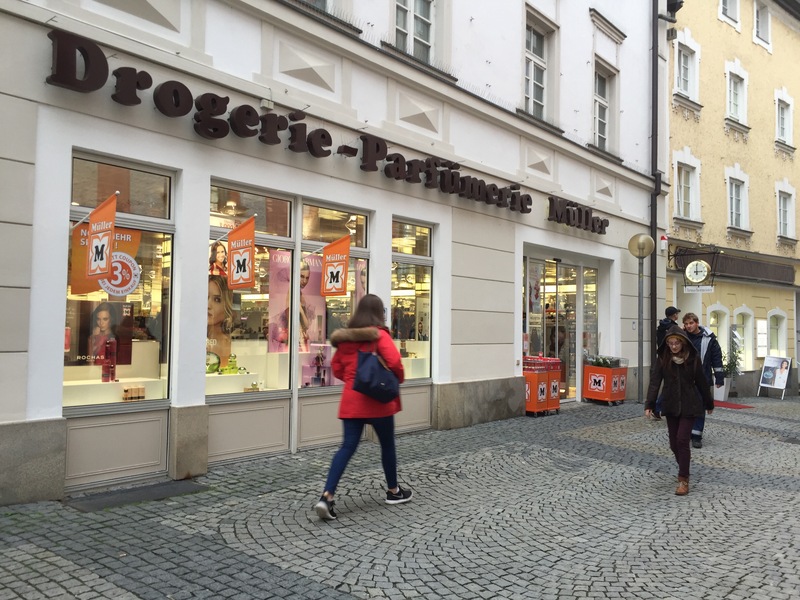 While strolling around Passau, we spotted a Müller, a drugstore which has pretty much everything from fragrance, personal hygiene products, children stuff, pet food, candies, and personal accessories like hair products. I found a small canister of hair spray and it did the trick. We even found other goodies to bring back home as cheap souvenirs. So, fellow travelers, this proves you don’t have to pack the kitchen sink. Of course if you’re staying in a tourist resort, prices will cost more. If you go where the locals go, prices for everyday items are not any higher than at home. Assume for the best case situation when traveling, and make it part of your vacation adventure if you should run out of something.